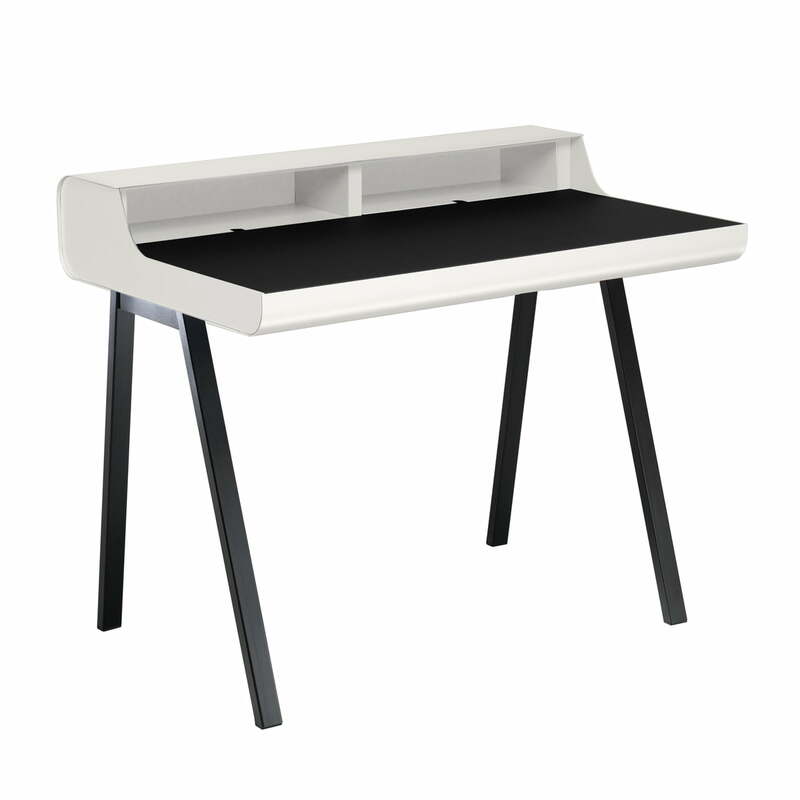 The secretary PS10 is the open variant of the Müller Möbelfabrikation PS08, it offers a big working surface and convinces with precisely processed details: two sunk storage compartments with claps for cables and plug connectors, the middle bar with bristles for cables, a wide drawer with a specific place for pens. Optionally there are two drawers available; the working top of the PS10 by Müller Möbelfabrikation is made of black linoleum. As well as all the Müller Möbelfabrikation products, the secretary PS10 can also be ordered painted in many RAL-tones – in one or two colours. The corpus of the secretary is painted in silky white; the feet are kept in black, resistant matt lacquer as a standard. The working surface out of black linoleum ensures a pleasant writing feeling and an apparent contrast. The PS10 secretary is also available with sled base, with drawers and in many editions. We will gladly advise you for your personal configuration!